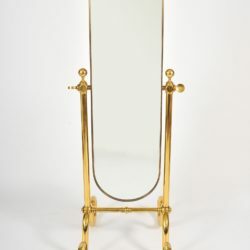 Handsome free-standing mirror. 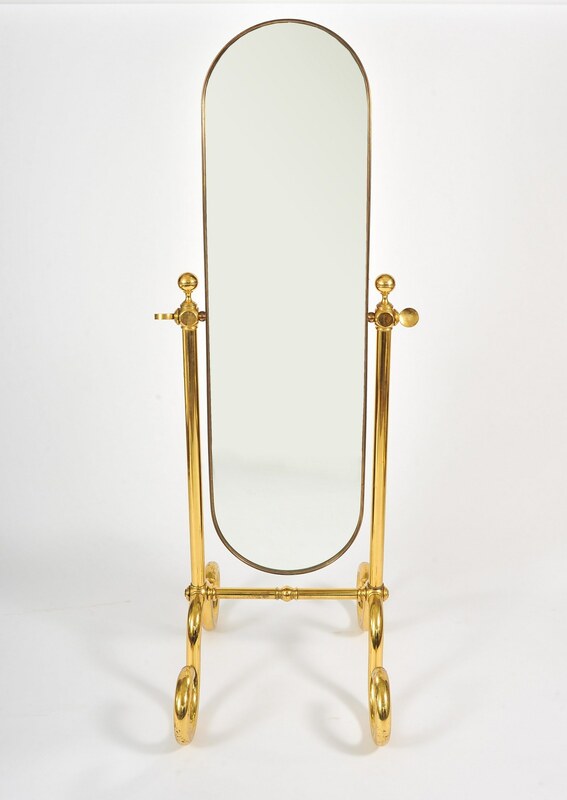 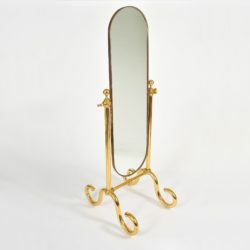 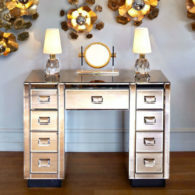 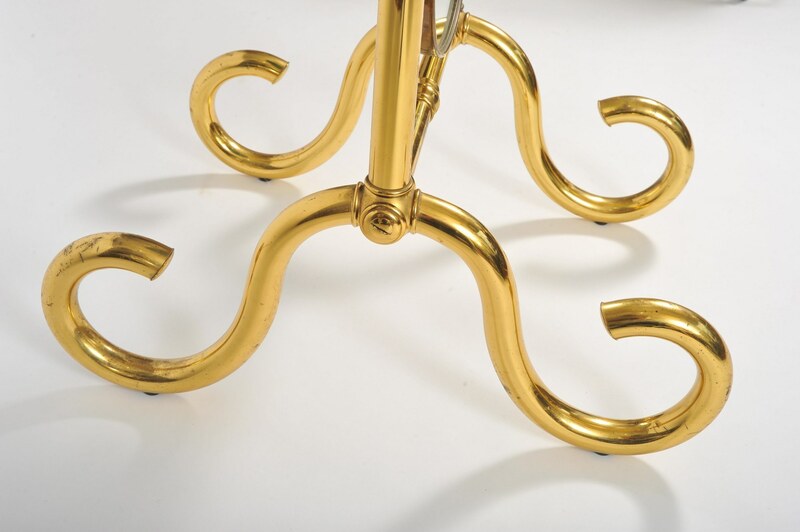 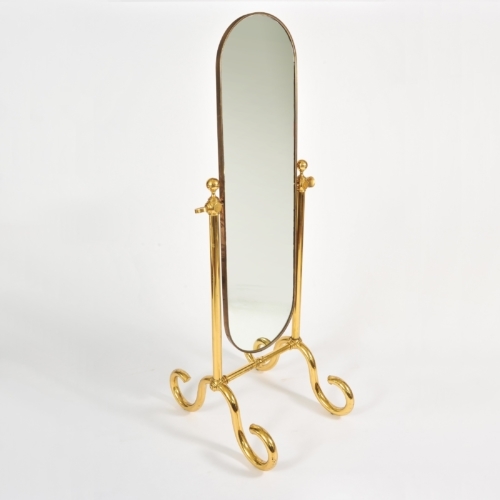 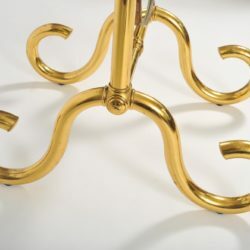 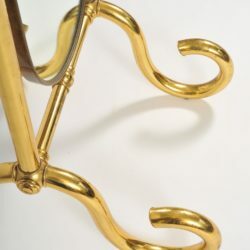 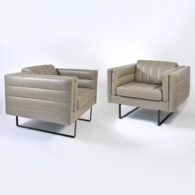 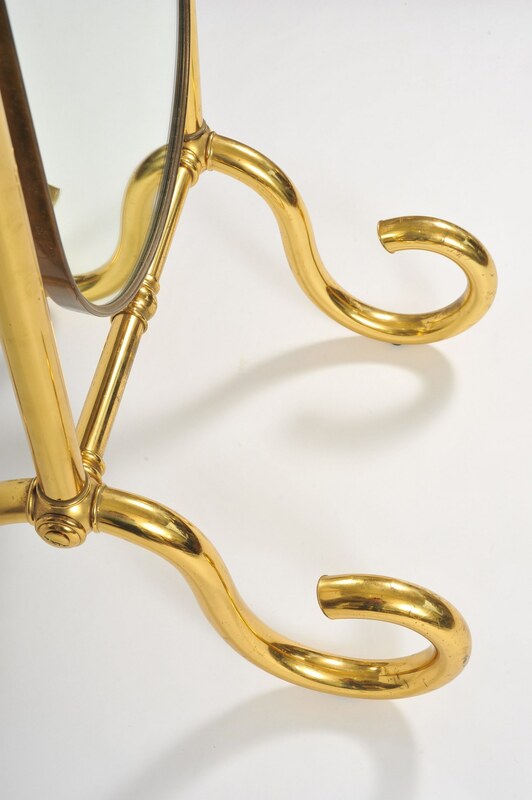 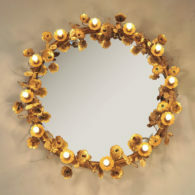 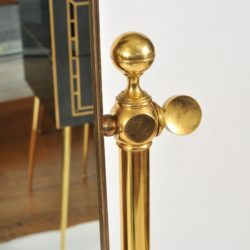 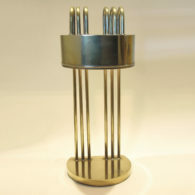 Curved brass frame supported by two brass columns with substantial twirly brass feet. 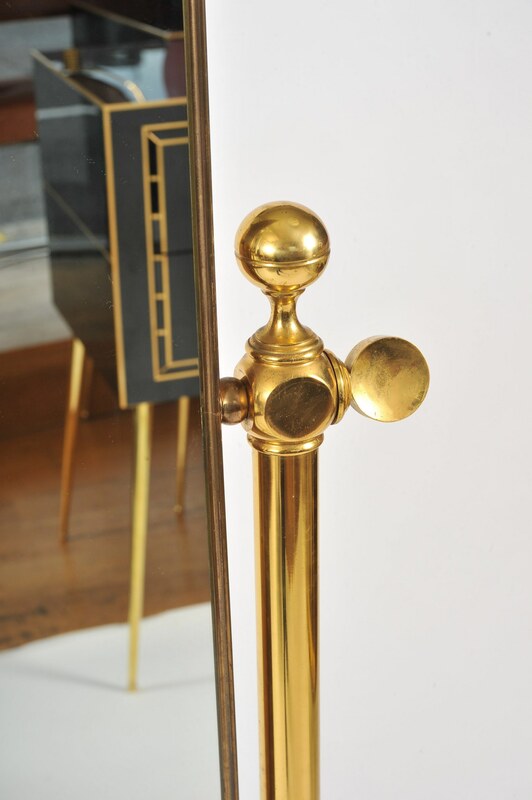 The mirror is balanced so when angled holds position.